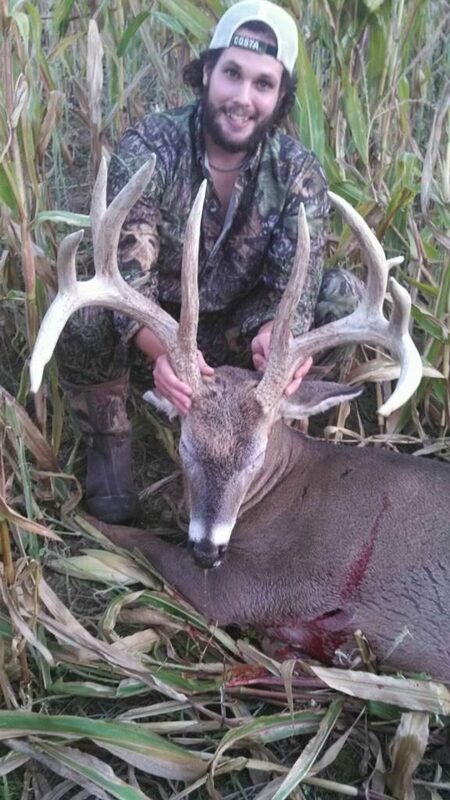 Check out the amazing whitetails taken by the Leslie group with bows. The shots taken by the Leslie group with bows were all very nice and brought down 3 beautiful whitetail bucks. 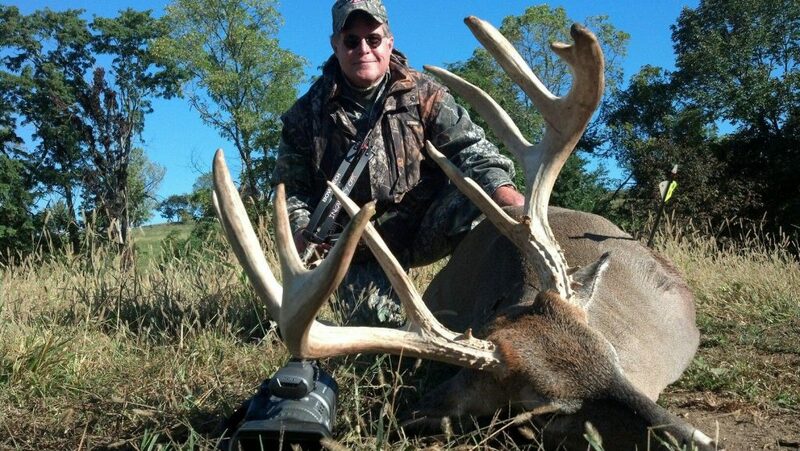 It was tough hunting all around, but the Leslie group came through again with a second monster buck! There was lots of scouting involved in taking out these three monsters and taking up higher ground was a necessity to locate these beasts. Out of the whole season so far Darren, Will, and Dave have the best bow shots of the season. 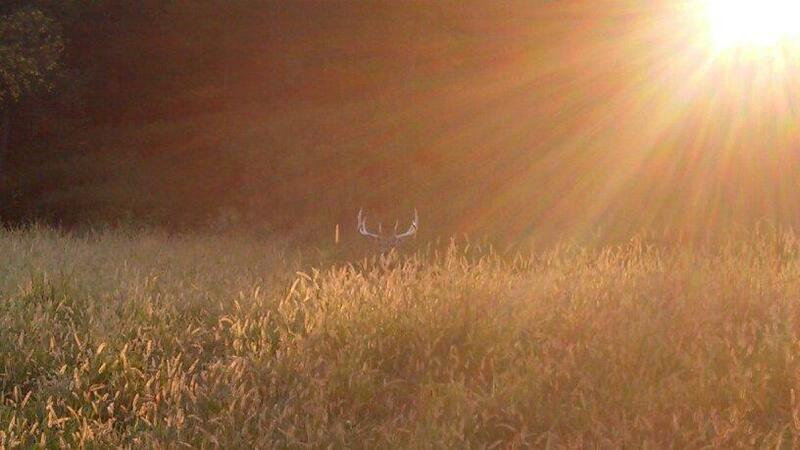 The scissor blind gave us some amazing views. A great view of an awesome monster, but it wasn’t the one we were looking for. Congratulations fellas on taking some beautiful whitetails. A well deserved reward after some hard hunting. 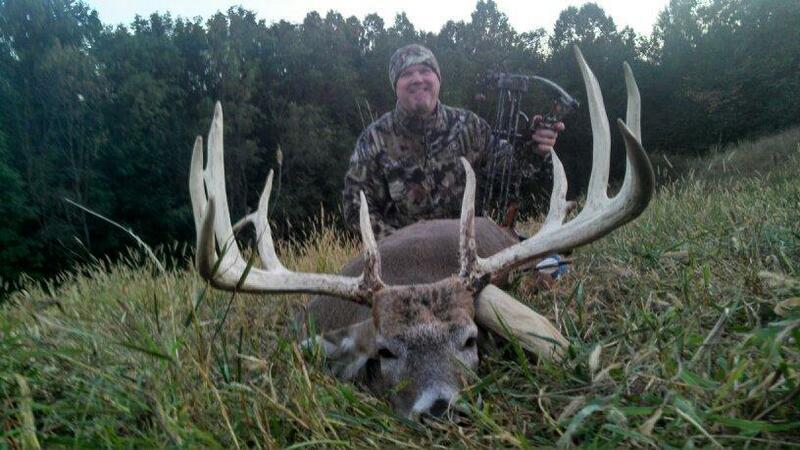 Have you dreamed of taking a monster buck like these? Hurry and book your dream hunt today, we are always spotting new dear on the ranch. 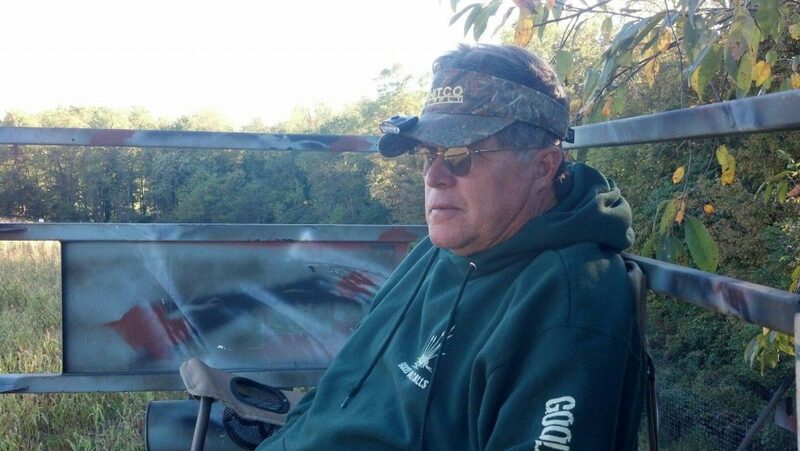 Check out what the Leslie group had to say about their hunts. First off, I would like to thank Dan Yoder for a great hunt. 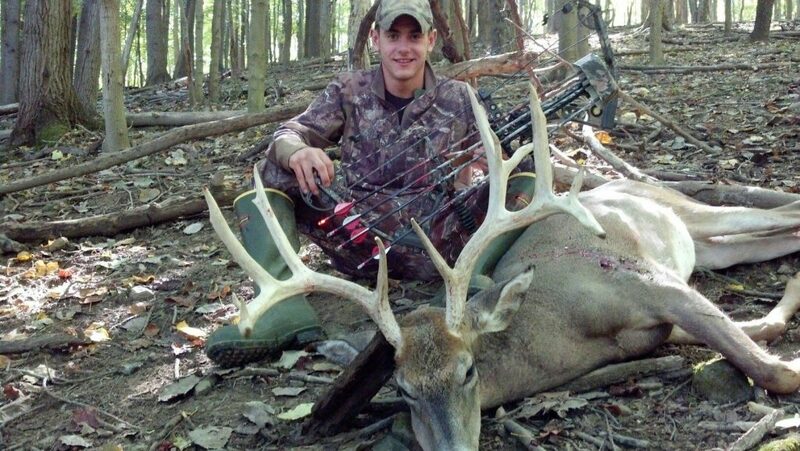 World Class Whitetails of Ohio definitely lives up to its name. Never in all my hunting trips have I ever seen that many huge whitetail bucks in one place… You might expect to see a few, but we literally saw trophy class bucks on every turn! Beautiful ranch, great lodge and great hospitality…. Thanks again Dan !!!! Dan we had a great time , You have a great deer population , you can service your client with anything he has his heart set on wether its a typical frame or non-typical frame , we had a great time thanks again! 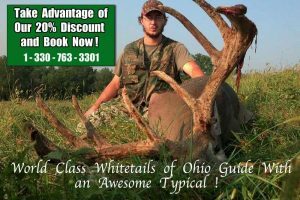 We flew in from Louisiana drove to world class WhiteTails of Ohio, very nice and easy drive. Once there we were greeted by Dan and his staff , settled in then Dan took us out to see where we would be hunting , saw plenty deer. Next morning we headed out to the ground blind, after a few hrs. Of trying to decide the right deer came by at 30 yds. 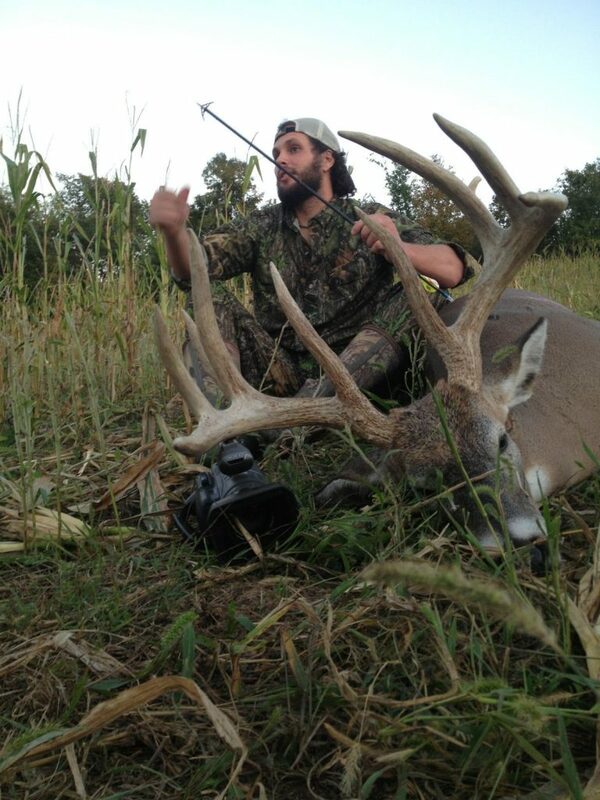 This was 1 of the best bow hunts I have ever been on. Personally I was very satisfied with the large white tail I killed. Thanks again to Dan and his staff.